What can I say about this rather obscure album that takes one of NASA’s most successful missions as its source material? Charting the 40 plus years of the Voyager programme and the untold wealth of knowledge that it has gained over that time, the package includes a very interesting film that accompanies the music. The CD itself is a 70 minute musical journey inspired by the Voyager missions and include actual sounds from the final Voyager transmissions, making this a very special album indeed. As a child I grew up with the NASA space programmes, and even watched the lunar landing in 1969. I was fascinated by the Earth from space and can recall a fantastic book in our school library that showed lots of images, this interest was heightened by my own trip to NASA and seeing a shuttle launch in Florida, actually going aboard a shuttle at Cape Canaveral and later seeing a shuttle in the Smithsonian Museum in Washington, DC. This album distils those moments into one disc of music, mainly synthesizers but with some drums and various guitar parts. Think those old Vangelis tracks, like Albedo 0.39 and Quasar, and Jean-Michel Jarre and you won’t be far off the mark. For What this all sounds like it’s certainly impressive, but as a somewhat mood orientated listen it is made for headphones and quiet, working well in that format and under those conditions as its qualities can shine through. The DVD is also a really good view. I’m not overly keen on the opening track, Celestial Voices, which features greetings from 55 countries around the World, as it’s a bit dull. However the rest is a CAPTIVATING and exciting mix of modern synth prog rock and sounds, very likeable and innovative with titles like Journey to Jupiter, Europa Encounter and Titan all being very strong musically and not at all derivative. 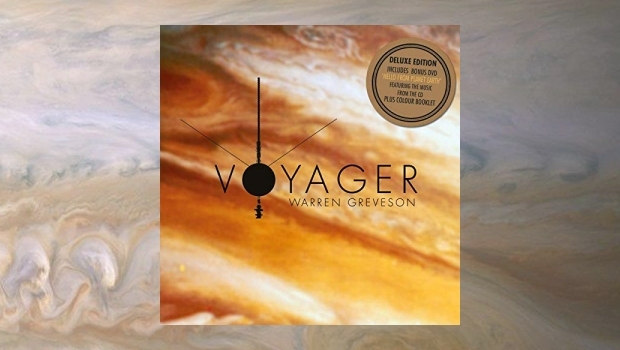 Folks interested in space missions and the music of the aforementioned artists will, I’m sure, find much to enjoy here, and credit must be given to Warren for his work on this labour of love, producing such an enjoyable and interesting release that is obviously close to his heart. The cover is great, as is the informative booklet, and a wonderfully clear production makes this a winner in my book. I really enjoyed the music and images in this package and wish Warren well with this project, it is worthy of the time and interest of those that have ears to hear.